See other times and dates this class is offered here. 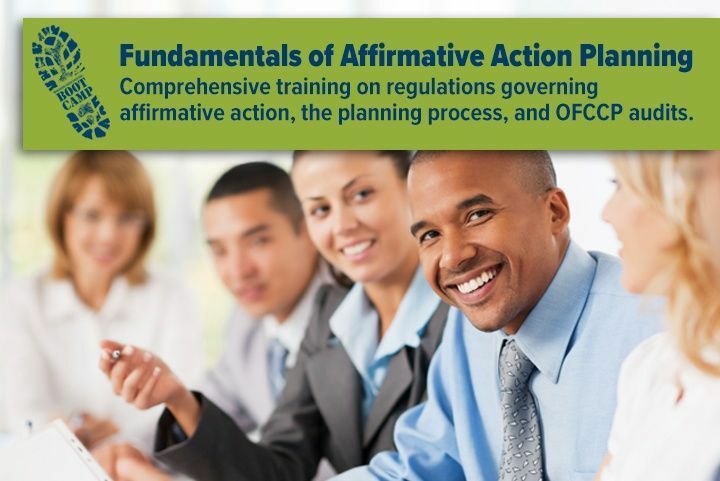 If you are an existing user of Berkshire’s AAP software, BALANCEaap, participate in all four days of our Affirmative Action Planning Boot Camp for a strong AAP workout at our training facility. In addition to gaining the knowledge you need to handle AAP for your organization, you will return to work, in most cases, with a completed plan. “AAP Boot Camp” includes Fundamentals of Affirmative Action Planning, BALANCEaap Software Training, and Collaborative Plan Development.